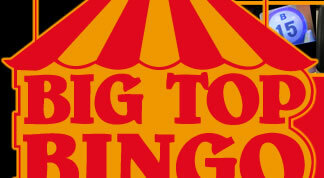 Welcome to Big Top Bingo! Click here to download April's calendar in PDF format. Click here to download May's calendar in PDF format. Click here to view details of our Anniversary Party in PDF format. PDF files can be opened with Adobe Acrobat Reader. Please visit www.adobe.com for a free download of this program.